I was provided free entry to Mickey’s Very Merry Christmas Party in exchange for media coverage. All thoughts and opinions are my own. It’s the most wonderful time of the year at the happiest place on Earth! 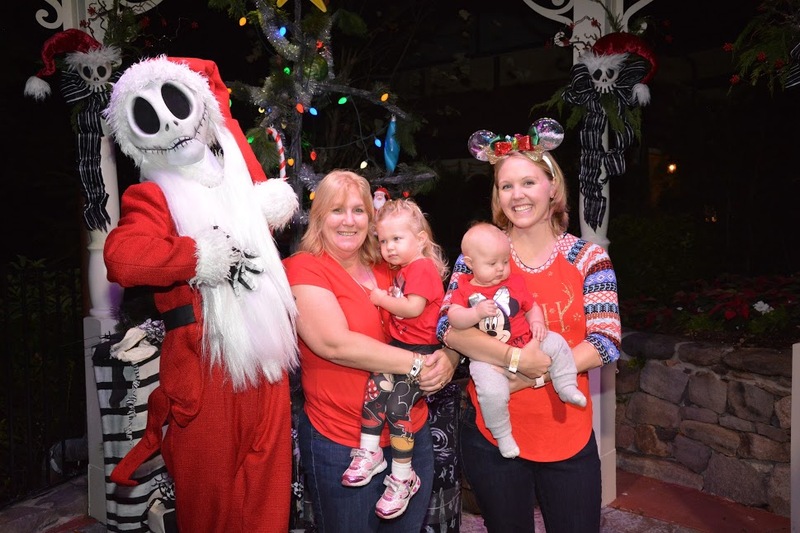 Mickey’s Very Merry Christmas Party is a fun event for the whole family. 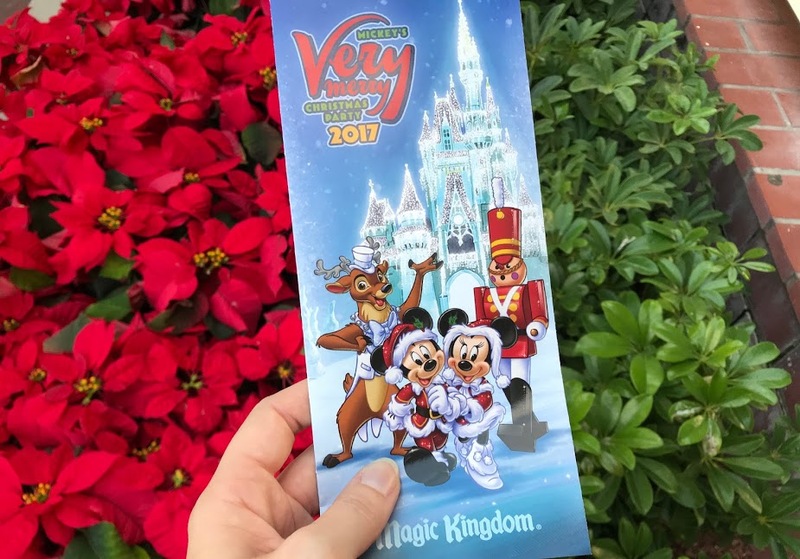 We were invited to media night for the holiday themed event and absolutely loved it. 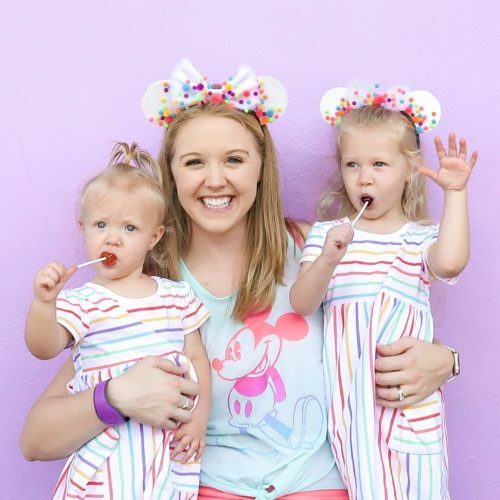 Here’s a few tips from our experience to make your trip extra magical! Your ticket allows you to enter the park at 4pm even though the party doesn’t start until 7pm. When parking at the Transportation Center, allot at least one hour to get through security and to the park via Monorail or Ferry Boat. When you arrive at the park, regular park guests will still be there as Magic Kingdom doesn’t close until 6 or 7pm. Since Christmas party festivities won’t begin until 7pm, use this extra time to ride any rides you want so you won’t waste time during party hours. Most restaurants also close down once the party starts, so make sure to eat dinner before. There are so many exclusive characters that meet only during Mickey’s Very Merry Christmas Party. Moana (near Jungle Cruise in Adventure Land), Seven Dwarves (at The Big Top near Dumbo) and Jack Skellington (behind The Christmas Shoppe in Liberty Square) are just a few elusive ones. Be prepared to wait! Some of these characters draw heavy crowds. The Seven Dwarves had a 2.5 hour wait and Moana was easily an hour and a half. Jack Skelington was only 45 minutes later in the night (around 9:30pm). All characters aren’t advertised or guaranteed. Our favorite interaction was the princes who meet with their princesses. We had a zero minute wait time and walked right up to the front of the line in Fantasyland. 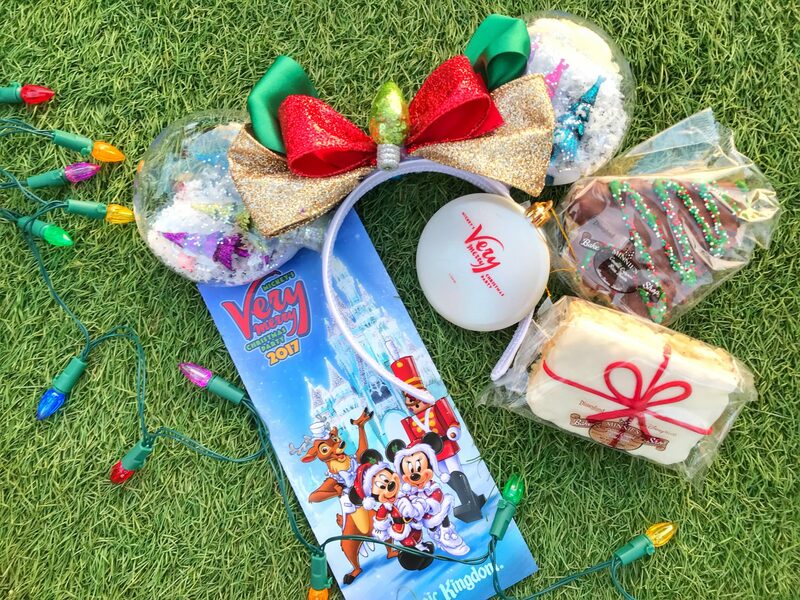 Treat stations are all over the park and are included in the ticket price for Mickey’s Very Merry Christmas Party. You can find a full list of locations and treats on a park map. Most locations have cookies and a beverage. These treats are also UNLIMITED. That’s right, all you can eat! It is first come, first serve and only available while supplies last. The treats at Pete’s Silly Slideshow typically run out first so be sure to make that your first stop. If you want to save time, head to Pinocchio Village Haus where you can get all of the cookies served around the park with cider or hot cocoa. 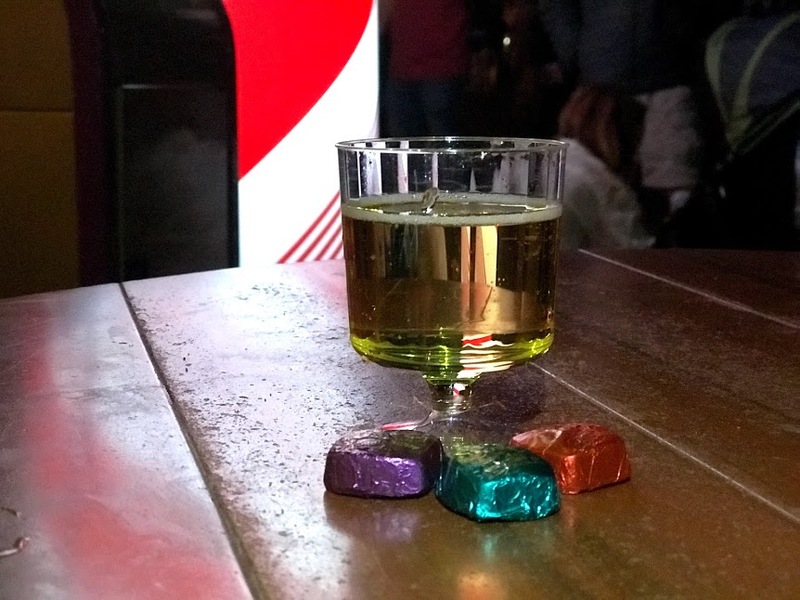 I also recommend The Friar’s Nook where they serve sparkling cider and delicious Dove chocolate. 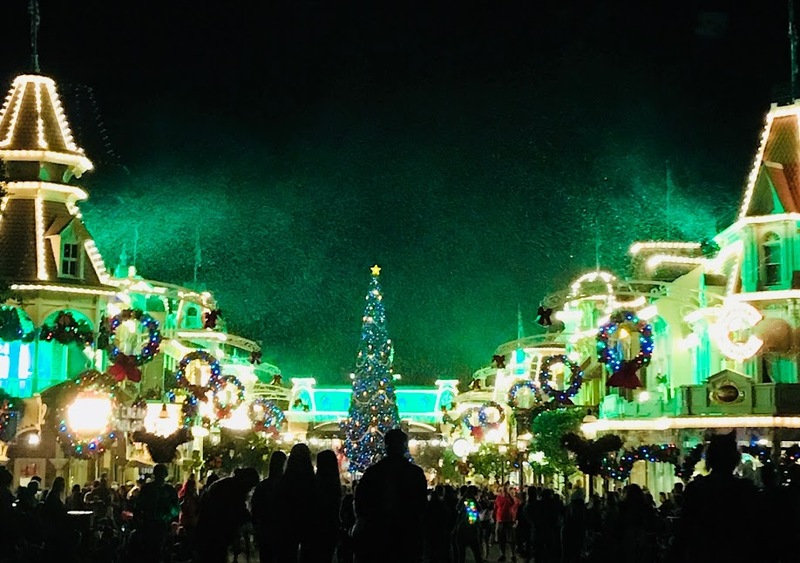 I would recommend watching the fireworks (Holiday Wishes) at 10pm, catching the stage show (Mickey’s Most Merriest Celebration) at 10:30pm and then staying for the 11:00pm parade. If you’re near the front of the castle you can see all three without having to move around too much. Take photos on Main Street to pass the time. The second parade is generally less crowded. All of the princesses are featured in the parade. We also enjoyed the wooden soldiers and of course seeing Santa. As the first few floats pass by, be sure to take a whiff as they pump out themed scents to add to the magic. The Christmas Party is lots of fun but it’s really hard to do everything. The treat centers are delicious but you could waste all night getting treats. Stop by a few and skip the rest! Characters are fun to meet too, but waiting in line for two hours could prevent you from seeing the parade or fireworks which are both pretty spectacular. Lastly, the rides all have a 10-20 minute wait time, but they aren’t exclusive to the party. Skip the rides and concentrate on the party festivities instead. We absolutely loved A Totally Tomorrowland Christmas! This show is really underrated. We arrived just minutes before the show started and still had a great view close to the front. 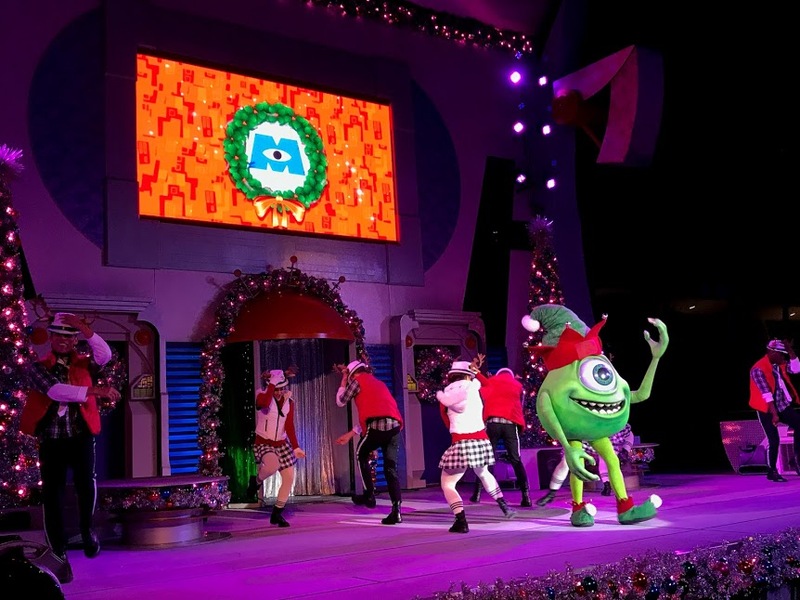 The show was upbeat and fun with Mike from Monsters Inc, Buzz Lightyear and Stitch dressed as Santa. We enjoyed classic Christmas music with some of our favorite characters, plus they made it snow at the end and Santa soars through the sky. Club Tinsel is a fun spot if your kids love to dance! They have character guests throughout the night plus great music and flashy lights. A Frozen Holiday Wish happens only once during the party and is truly magical to see Elsa light up the castle and make it snow. This show also happens before regular park close. Catch an early view to save time! Of course the fireworks and parade are on my must do list. 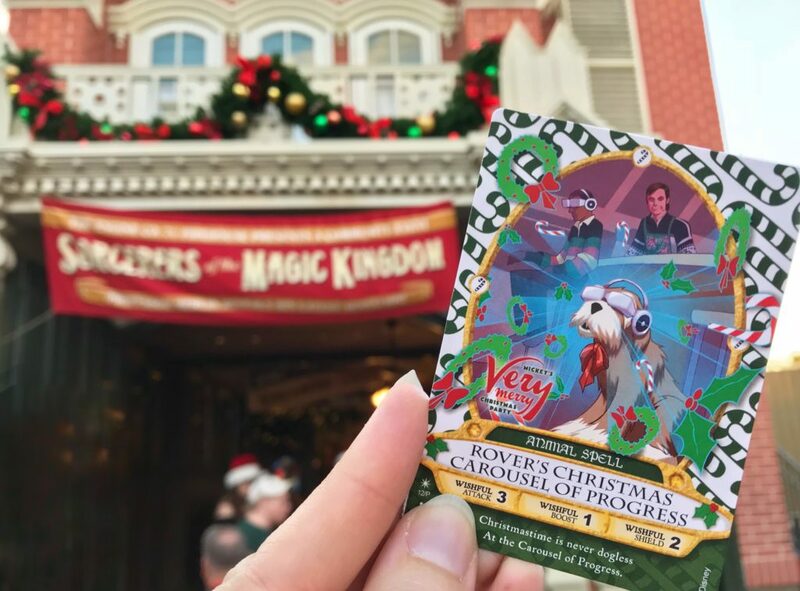 Don’t forget to grab your exclusive Sorcerers of Magic Kingdom card. While I wouldn’t recommend wasting all night in line for characters, picking a few favorites would also be a must at Mickey’s Very Merry Christmas Party. Have you been to the party? I’d love to know what you thought! 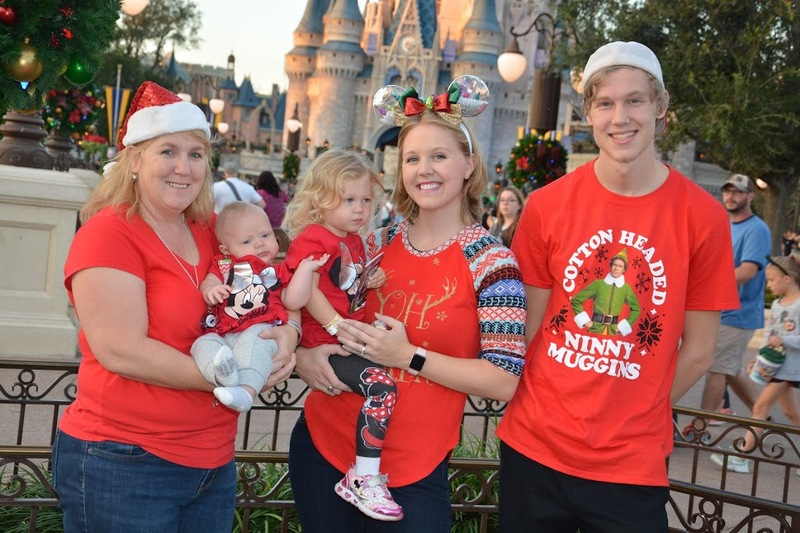 Want more Disney Christmas fun?! 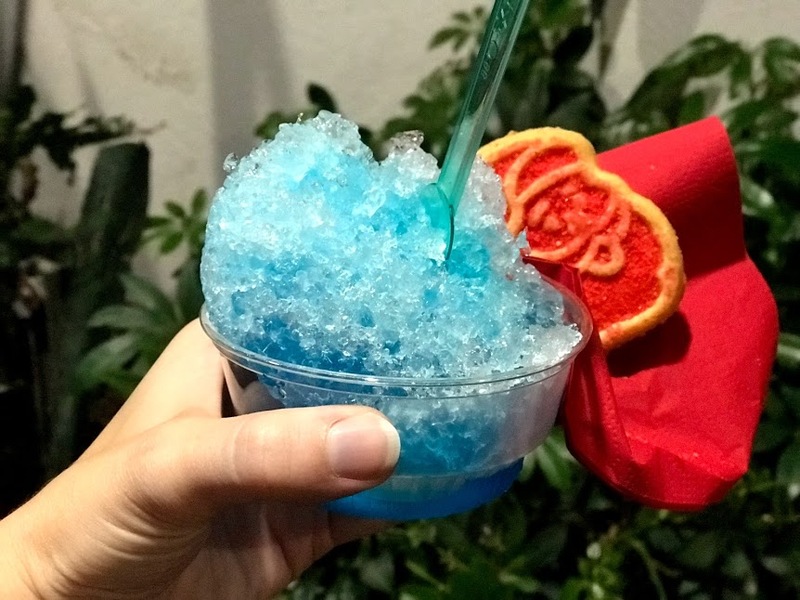 Check out these fun FREE Christmas activities at Disney Springs!